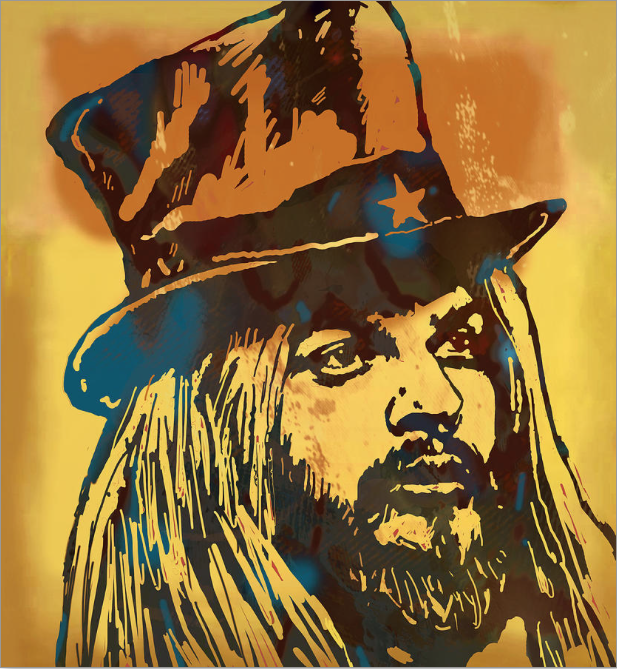 Happy Birthday to Leon Russell (born Claude Russell Bridges April 2, 1942). He is an American musician and songwriter, who has recorded as asession musician, sideman, and maintained a solo career in music. Born in Lawton, Oklahoma, USA, he began playing piano at the age of four. Russell attended Will Rogers High School in Tulsa, Oklahoma. At this time he was already performing at Tulsa nightclubs. After moving to Los Angeles, he became a session musician, working as a pianist on the recordings of many notable musical artists from the 1960s. By the late 1960s, Russell diversified, becoming successful as an arranger and wrote and co-wrote songs. As a musician, he worked his way up from gigs as a sideman to well known performers. By 1970 he had graduated to solo recording artist, although he never ended all his previous roles within the music industry. Russell was inducted into the Rock & Roll Hall of Fame on Monday, March 14, 2011, at a black-tie dinner at The Waldorf-Astoria hotel in Manhattan.